Sharing her homeland’s hidden gems has been Mei Zhang’s lifelong passion, interrupted only by the years she spent earning her Harvard MBA and working for McKinsey. No matter the occasion—family trip or fiftieth-birthday celebration—Mei can filter the seemingly endless options for clients to craft the experience that’s just right for them. 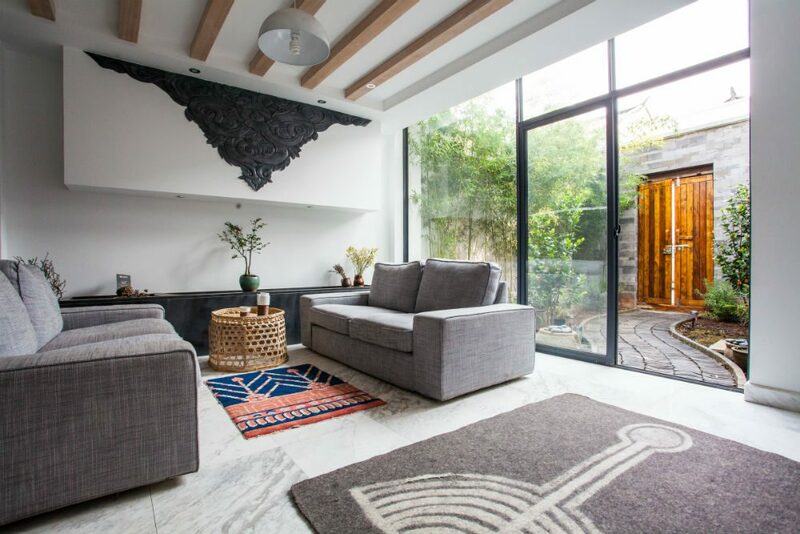 A Beijing resident who grew up in Yunnan Province and has particular knowledge of Guizhou and Szechuan provinces too, she has close relationships with hotel and restaurant owners and makes sure that her clients get the red-carpet treatment. Her guides and drivers are the best in the business, opening the doors to authentic Chinese culture and steering travelers away from the crowds, the expected, and all things touristy. Mei was also included in Perrin’s People, Wendy’s award-winning list of top travel specialists, which was published annually in Condé Nast Traveler magazine from 2000 to 2013. Dali is a bit of an oddball when it comes to accommodations: There is so much to do in the Old Town, but it has always lacked good-quality hotels. This—aided by a growing expat population—has allowed small lodges and Airbnbs to flourish. Prices are really reasonable (around $150 per night for a modern, four-bedroom home), and the locations and facilities are hard to beat. 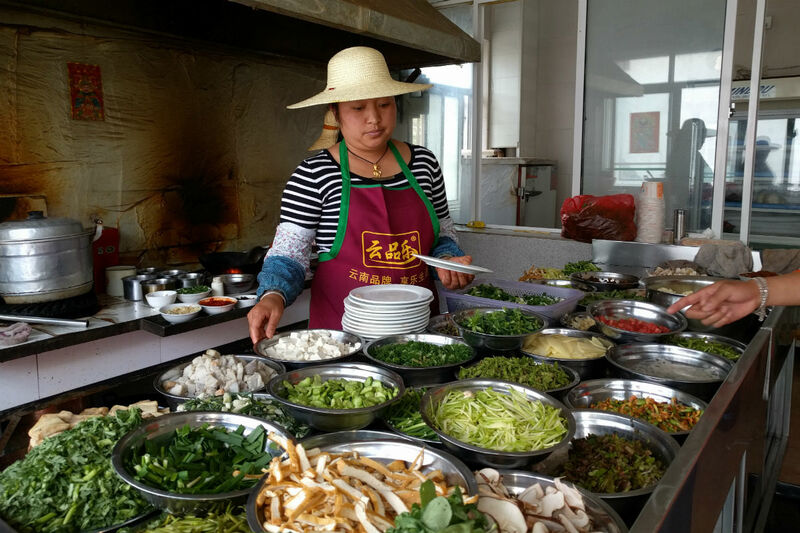 Most restaurants in Yunnan are small family-run affairs with unrecognizable names that don’t translate from Chinese, but a very good place to graze is Weishan’s Old Town, known for its snack foods, such as steamed rice buns and sweet pancakes. You can’t go wrong simply walking down its pedestrian street and sampling the wares at any food stand. Be sure to try the stand that offers One String Noodle. It is only open in the mornings, as they always sell out by noon. Green Field Kitchen in Dali is a favorite café of mine and many other locals. Sure, they sell good sandwiches and coffee, but the reason I go is for the view: The Kitchen is located next to Erhai Lake and is hidden in the midst of cultivated fields. 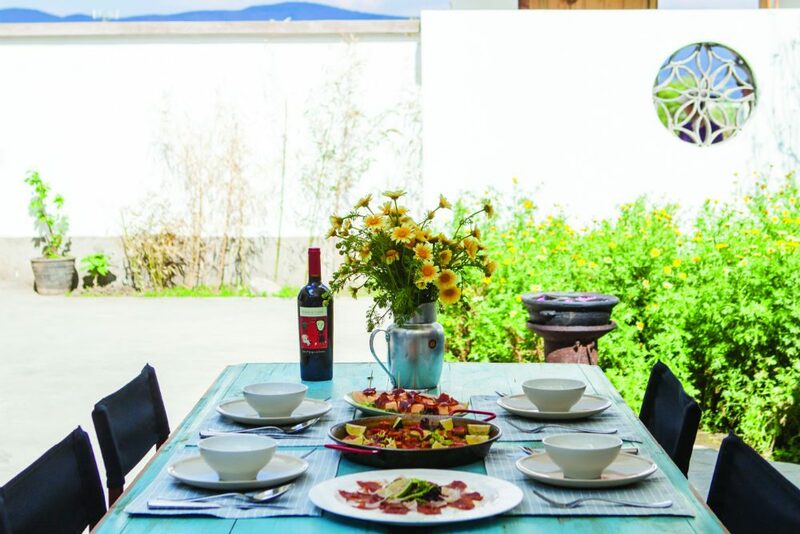 Having the chance to experience a farm-t0-table cross-cultural culinary journey is not how you’d expect to spend your time in Yunnan, but that’s exactly what you’ll find at Casa Bai, a private dining experience in the courtyard home of a French chef living in Dali. It’s not cheap (the price is $400 for up to eight diners), but it’s worth every penny—and also extremely exclusive. Dali’s Longxingyuan Restaurant serves the very best local specialties, including steamed ham, rice noodle salad, and mushrooms cooked any style. It won’t break the bank, costing $20 to $50 per person if you order enough for everyone to be happily stuffed. 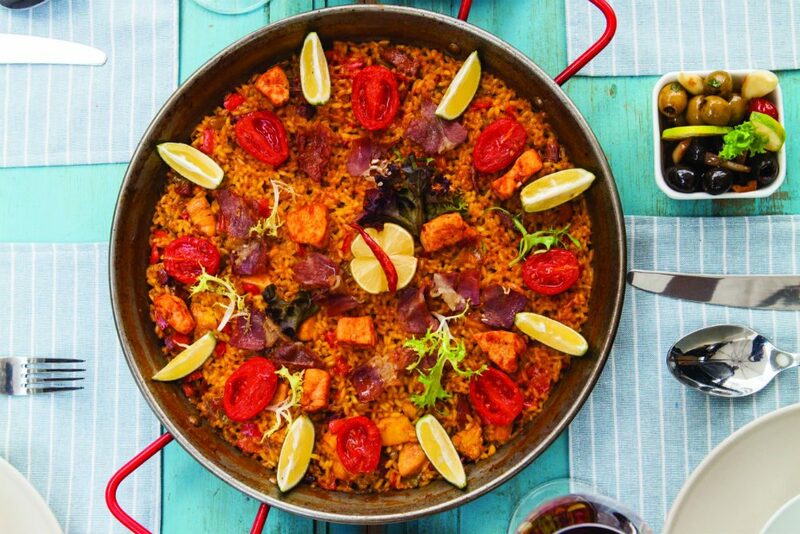 Everything on the menu is worth trying. Niugan Jun (or porcini mushrooms, as they’re known in the west), fried with dried chili. Locals have been harvesting this wild mushroom from the mountainsides for centuries. The flavor is strong, like truffles, and the chili makes it unmistakably Yunnan style. Porcini mushrooms in Yunnan aren’t cheap (probably the same price you’d pay in the U.S.) but the portions are always generous. Small wok cooked rice noodle (小锅米线) is a very simple and scrumptious noodle soup that’s cooked over an open fire and flavored with pickles, chives, and minced pork. It will cost you about a dollar, but for such flavor you’d gladly pay many times that much. Lijiang, Dali, and Shangri-la Old Towns are quite beautiful at dawn, but in each of these destinations the whole Old Town is overrun with tourists by 10am. Skip Yunnan’s Old Towns if you can’t see them first thing in the morning. Avoid any village that has “ethnic minority” in the name. These are cheaply done, movie-set-like “villages” for tourists. There is one in particular near Kunming that I really dislike; everything there is a show for visitors. Market shopping in Yunnan Province. Photo: Mei Zhang. Dali. On the surface, people mistake it for a lesser Lijiang, complete with tourists and shops, but Dali—traditionally the capital of Dali Kingdom—has a beautiful soul, and the local Bai communities have managed to maintain their lifestyle in spite of the tourists. 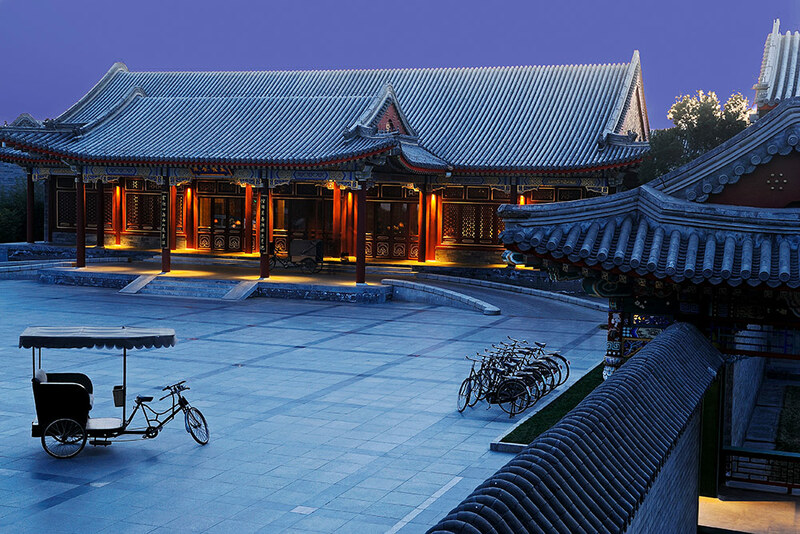 Dali has attracted a growing group of China’s urban elite, who have created a vibrant art and architecture scene here. Jianchuan Shibaoshan Grotto, in Dali, documents the history of the Dali Kingdom, which followed the Tang Dynasty. Though as important as the famed Mogao Caves along the Silk Road, it is little known and therefore little visited. Dimaluo, in Gongshan, is a little-known community of Catholic Tibetans living in a remote village in the mountains. The setting is absolutely beautiful, and the area is full of lovely lakes and hiking trails. Dinner with my Dali housekeeper, Auntie Cheng. You can go to the market with her in the morning to choose fresh, local ingredients and then she’ll cook you a simple but delicious Bai minority meal on an open stove in her courtyard. The Shangri-la valleys and, in particular, a small village on a terrace above the Mekong River called Cizhong. It’s a community where Buddhists, Muslims, and Catholics all live harmoniously together. For me, this is what James Hilton was talking about in Lost Horizon. The Songtsam Lodge makes for a tranquil and comfortable stay. The Impression Lijiang show is a live spectacle of music and dancing highlighting local cultures and performed in an outdoor park set against spectacular alpine scenery. The show features hundreds of performers in colorful costumes and was created by the famed movie director Zhang Yimou, who also directed the Beijing Olympic Opening Ceremony (getting the picture?). It’s performed daily. Tickets are about $30, which is very inexpensive for a show the likes of which you’ve never seen and are sure to never forget. Working with a conservationist in Tacheng’s Golden Monkey National Reserve. 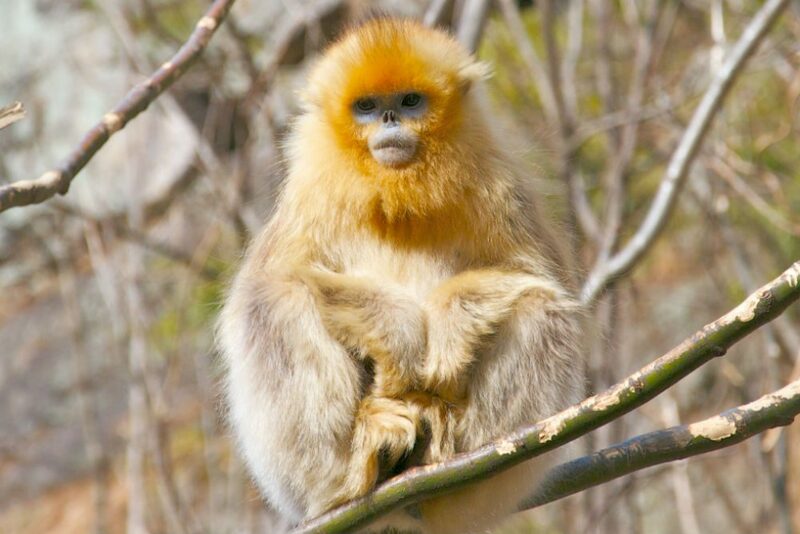 Residing mostly in the mountains of Yunnan, Sichuan, and Guizhou, China’s golden monkey is a rare and understudied species that is quickly nearing extinction. I can arrange for you to track these magnificent but rare creatures and learn about the work being done to protect them. This is a great option for families. Dali has attracted some of China’s leading artists, filmmakers, dancers, and photographers. For travelers who are interested in learning more about the arts in China, we can arrange a private visit to the home of one of these national cultural icons or even dinner with one of them overlooking beautiful Erhai Lake. Take a leisurely bike ride to the market in Dali to buy some fresh wildflowers and a clay pot in which to arrange them. Back at the hotel, spend time reading—perhaps a book about the explorer and botanist Joseph Rock—while sipping freshly made green tea. Later in the day, ride your bike 15 minutes to the home of a Bai villager to learn to cook a mushroom or stir-fry dish, followed by dinner with the family. Finish the day with a soak in a hot spring or massage in a spa. 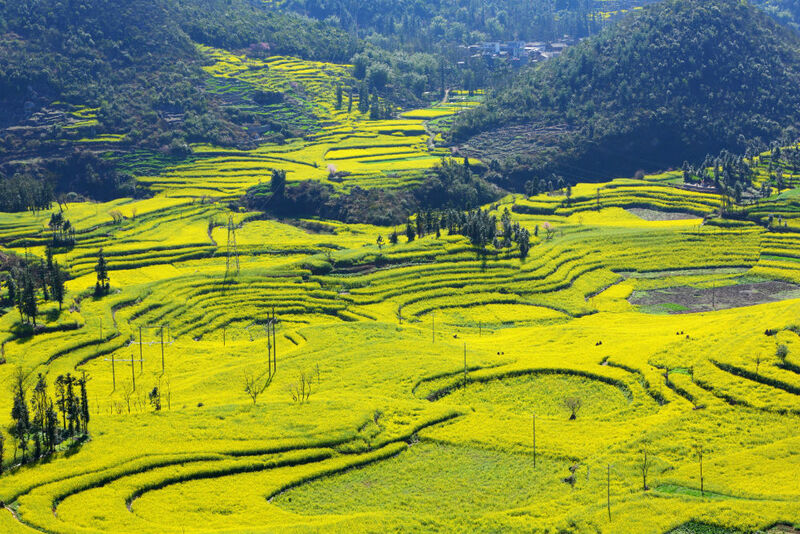 There’s something good to be said for every season in Yunnan: From February to June, spring arrives early and in waves of cherry blossoms, rhododendrons, and wildflowers everywhere. July and August can be rainy, but this is the best time to escape the heat that sweeps China at this time. And there’s another silver lining: The rain brings wild mushrooms of every variety, but most notably the prized matsutake. Served stir-fried, deep-fried, or au naturel, they’re delicious! October ushers in crisp blue skies and fall colors, making the high mountains all the more striking. In January, verdant, tropical Xishuangbanna, which borders Myanmar and Vietnam, cools to the delightful mid 70s. 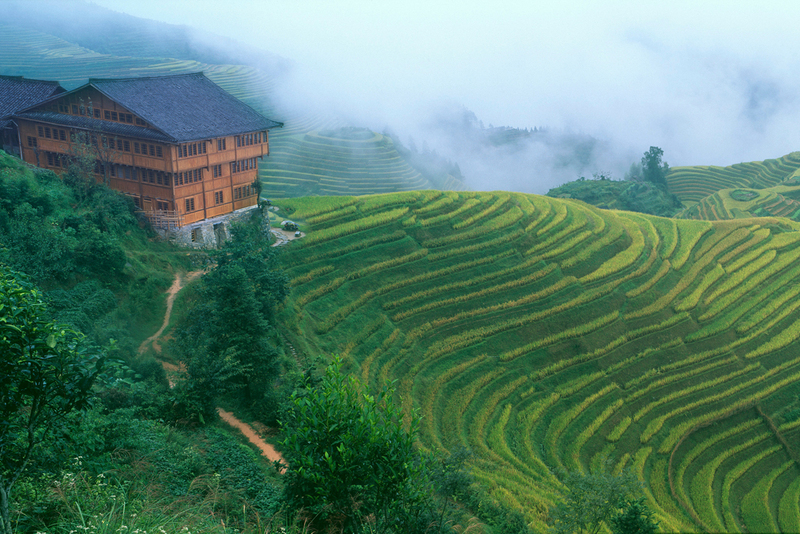 Its terraced rice paddies are flooded in preparation for planting, making a photographer’s fantasy come true. Avoid Chinese golden week, October 1–7, and Chinese New Year (which moves by the lunar calendar). During these times, the old towns of Lijiang and Dali are jam-packed with Chinese tourists. Rushing through the province as part of a grand tour of China. Yunnan connects the rest of China with Tibet to the northwest, Myanmar to the west, and Laos and Vietnam to the south. It is home to 25 different ethnic groups, and its diverse topography ranges from the tropical south to the northern glacier-covered peaks, less than a 40-minute flight away. 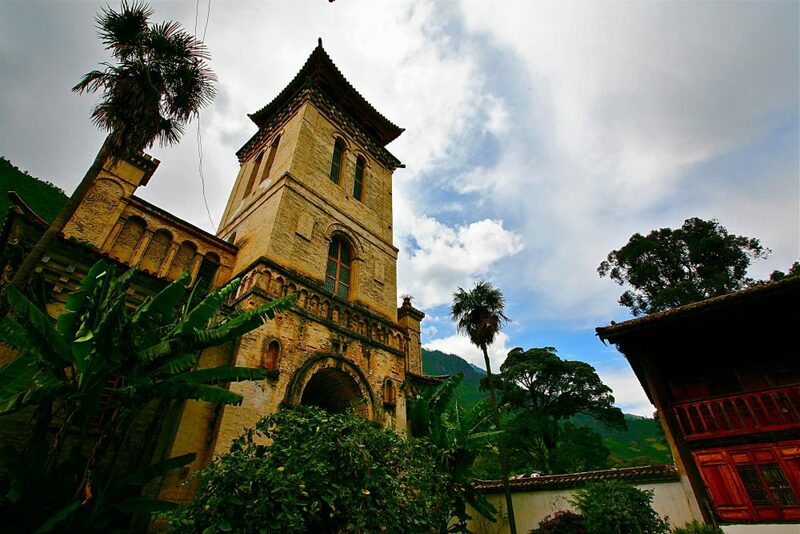 If you spend only two weeks in Southeast Asia, give at least one of them to Yunnan. Yunnan borders Myanmar, so Burmese jade shops are everywhere. But unless you are a jade expert, chances are high that you’ll be overpaying for a piece of stone. There is no need to tip in restaurants or bars. Tipping in general is not part of the culture. However, tipping is expected in five-star hotels and with guides and drivers who speak English. 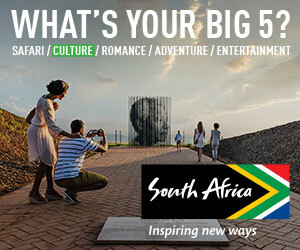 A gratuity of $25 per day for the guide or $15 per day for the driver is standard. There are many local airports in Yunnan, but all flights stop in Kunming, the capital city. The new Kunming airport is the nation’s third largest, so allow plenty of time to transfer, as you often need to pick up and recheck your luggage when taking a connecting flight. Sunblock and Diamox. Most parts of Yunnan are about 3,000 feet above sea level, where sun can be brutal during the day. Anyone venturing into the Tibetan part of Yunnan (Shangri-La, for example), should travel with Diamox, in case of altitude sickness. A bamboo basket. Yunnan locals use these when shopping for vegetables, and they’re sold in all the markets. There are different styles by different ethnic groups. The only problem is that they’re fairly large and can be a hassle to carry home. Some women carry them on the plane in place of a purse; if you buy two or three you can have them boxed and check them. At the first bend of the Yangtze, near Lijiang, where the river curves north, there’s a perfect vista of charming villages dotted along beautiful mountainsides. Classic China! 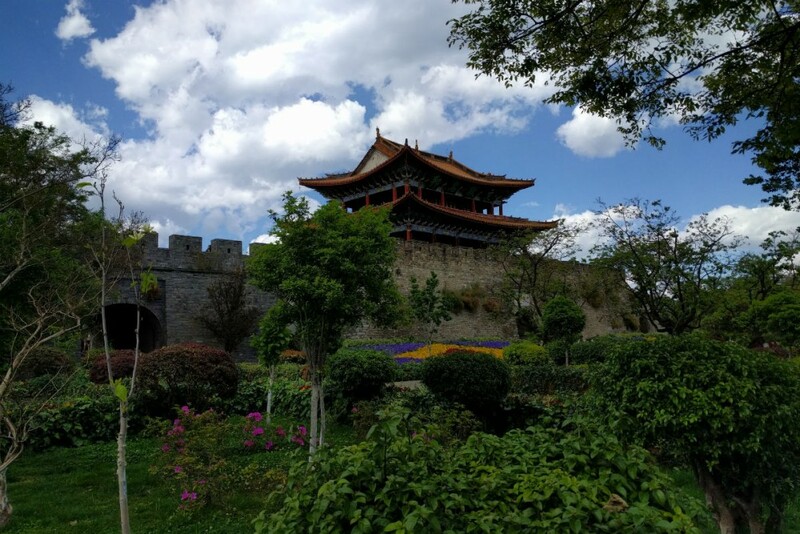 Cangshan Mountain is glorious when photographed from the lakeside in Dali, with the mountain chain encircling the Old Town and a vast carpet of cultivated fields in the foreground. There are great portrait ops all over Yunnan, of ladies from different ethnic groups—Tibetan, Yi, Naxi, etc.,—in their native dress and with big smiles spread across their faces.